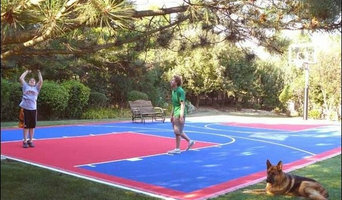 As a leading provider of athletic court surfacing, Supreme Sports of Chicago crafts on the highest quality. From basketball and tennis courts to roller hockey rinks and putting greens, we will work closely with you to design and install the play and practice space that you've always wanted. 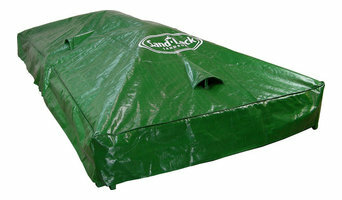 Manufacturer and distributor of children's outdoor sandbox systems. Shade Trends designs are created to ensure comfortable, affordable, outdoor furniture and umbrellas encompassing our outstanding exclusive designs and high end quality. AirZone North America is pleased to present our two brands: AirZone Jump for backyard trampolines, and AirZone Play for recreational game tables! Bobblefactory.com is located in Morton Grove, Illinois, just North of Chicago. We are a value added division of Done .Deal Promotions/CORPSPORT, a supplier, manufacturer and distributor of custom logo and promotional products.Done Deal Promotions/CORPSPORT and Bobblefactory.com have over 20 years of combined experience in the manufacturing, marketing and direct importing of custom promotional products utilized by corporations and teams of all sizes. We help our clients create inviting interior and exterior spaces through a full line of site furninshings and playground solutions. Outdoor play system professionals design and build custom playhouses, playsets and other equipment, and also install prefabricated kits. They can design a playhouse to look like the main home or come up with a completely unique concept that suits the parents’ and kids’ fancies. Because playset kits can be quite tricky and time consuming to assemble, many Illinois homeowners hire professionals to handle the job both for convenience and for peace of mind with regard to safety and structural integrity. 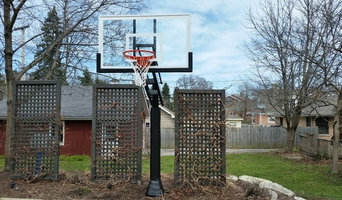 Here are some related professionals and vendors to complement the work of outdoor play systems: Backyard Courts, Landscape Contractors, General Contractors, Woodworkers & Carpenters. Find an outdoor play system professional on Houzz. Narrow your search in the Professionals section of the website to Lake Forest, IL outdoor play systems. You can also search farther afield for a pro who fits your project’s needs.